During The All Stars Tour, JJ and Henry got to speak to Chris from Motionless In White. We talked about the band starting out in the local scene in Scranton, PA; the recording process of ‘Creatures’ and what the future holds for the band. They will be doing a European tour this fall and will be hitting the studios to record a new record when they get back. 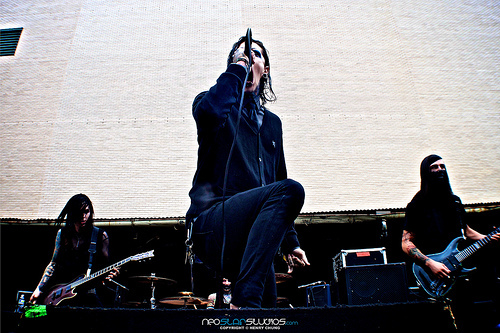 Motionless In White, a set on Flickr. Do yourself a favor and pick up ‘Creatures’ out now on Fearless Records or download it now on iTunes and support local!